In stadiums, museums, theme parks, theatres and resorts, Panasonic is taking the live event experience to a whole new level. Our sports, entertainment and broadcast solutions not only immerse fans in the action, but also personalise the experience in exciting new ways. From immense, high-resolution video displays to stunning projection technology to surprising mobile connectivity solutions, Panasonic is redefining entertainment. At InfoComm 2017 – the largest trade fair in North America for audiovisual communications – Panasonic exhibited some of the cutting-edge technology we’re using to create these immersive entertainment experiences. Take a closer look at some of the highlights from InfoComm and you’ll get a sneak peek at the next-gen tech headed for a local showcase at Integrate in Melbourne from 29-31 Aug 2017. 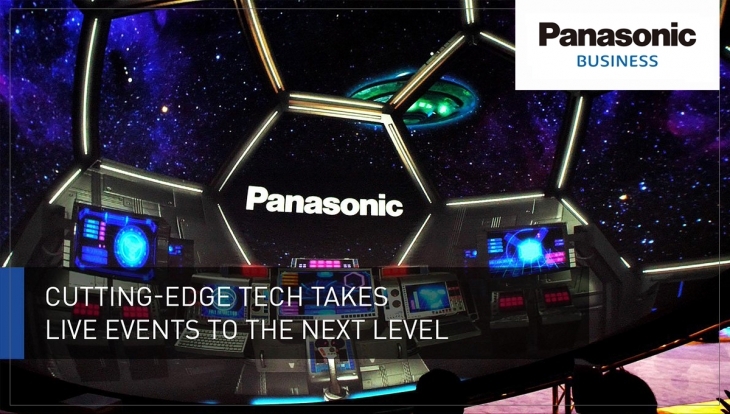 See how Panasonic is using cutting-edge technology to transform live event experiences, helping our customers tell stories that connect with their audiences. LinkRay turns smartphones into smart displays by using LED light sources – such as digital displays to transmit ID codes via visible light so that virtually any mobile phone can capture it. From a high-resolution fish-eye lens in a 360˚ dome to jaw-dropping projection mapping and more, we’re powering iconic stadiums, concert venues, and world-class museums with technologies that immerse, inspire and amaze fans.